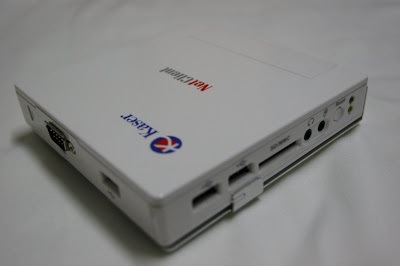 I've been interested in thin clients for a long time. Unfortunately, the biggest problem for me was that thin clients often cost more than a "fat client", that is, a full computer. 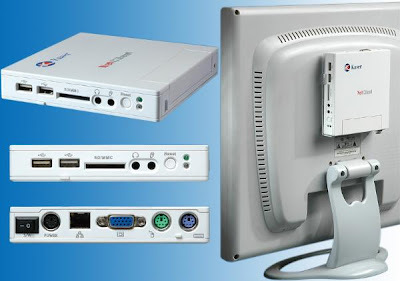 Some may argue that a thin client has other cost-saving advantages that a full computer can't match, such as Windows licensing costs, space saving, and electricity saving. But with a computer, I get a powerful processor for running applications without having to have a powerful server, so why would I want a thin client that may become non-functional if my network goes down? 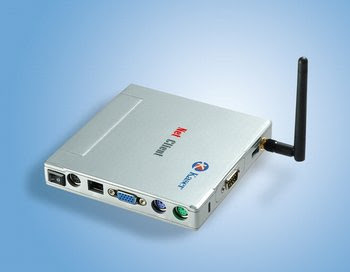 But recently, I noticed that Norhtec now lists a cheap $99 thin client called the MicroClient TC on their website. At that kind of price point, the thin client becomes interesting again, since there's no way I can build a full computer for that kind of price, and now that email is considered "mission critical", thin clients would really save a lot of money for users that only need to use email and nothing else. 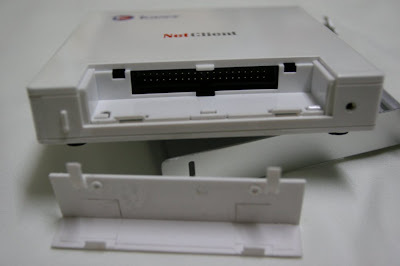 Norhtec is relatively well known in the embedded Linux market for making small PC's and servers and thin clients. Unfortunately, when I looked at their thin clients a while ago, they also had the same issue as being costly. Norhtec is practically next door to where I work, so I called them up to see if I could order a unit or just go over to pick one up. 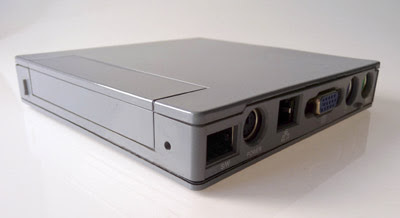 Stupidly enough, I seemed to be the very first person to ever inquire about the MicroClient TC, and the person who answered the phone mumbled something about not able to deliver the product immediately, then referred me to a salesperson that's actually from a different company. 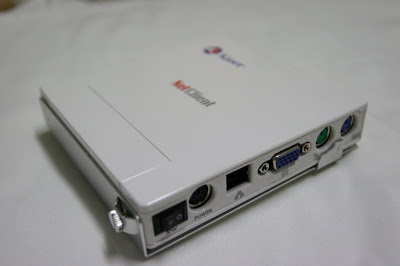 Eventually I ended up getting the Kaser NetClient, which is identical to the Norhtec MicroClient TC, except it seems to be housed in a cheaper plastic case, and it cost me $117 (today's exchange rate) instead of $99. The salesperson also didn't know anything about the NetClient either, and said I was the very first person to buy it from his company. He also claims the unit doesn't come with an OS and I need to install a hard drive first and install my own OS. Uh... right. This is the front side with an SD/MMC slot. Three USB ports and audio ports. Reset button. Indicator lights. My unit doesn't come with the wi-fi option so there's no antenna. Backside with power switch. Proprietary power adapter jack. LAN. VGA. Mouse. Keyboard. The metal thing is a mounting bracket for mounting the unit to the back of monitors. With the mounting bracket removed, what appeared to be a door turns out to hide an IDE port. I think it would make more sense to have a CF port. 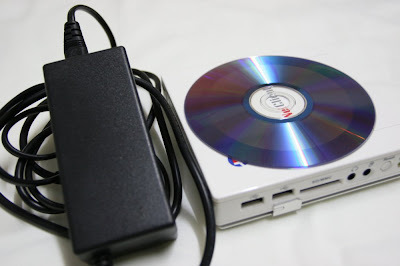 The relatively large power adapter, and comparing the NetClient to a DVD disc. Unfortunately, the QuickRDP software included in the NetClient unit has a problem with screen refreshing. When the screen is refreshing and the mouse pointer is inside the area that's being refreshed, the mouse pointer freezes until the screen finishes updating. This causes a huge problem when doing repetitive tasks that involve mouse movement and screen updates. In fact, the main reason I'm interested in these thin clients is to connect to our terminal servers to access Dynamics NAV. The ERP software has huge amounts of data entry fields and drop down boxes that need to be clicked on repeatedly, and the screen refreshes constantly as the onscreen data loads and updates. One other problem with QuickRDP is that it that it appears to only support 1024x768 resolution. Haven't they noticed that only widescreen monitors are available in the market these days?! 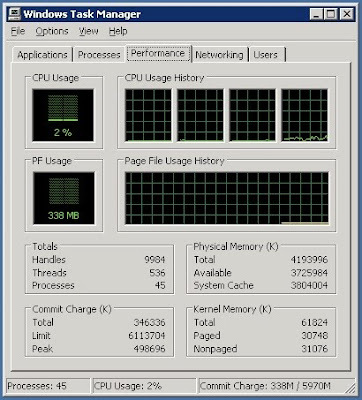 I mentioned going back to Windows Server 2003 R2 earlier, and here I'll talk about why. While testing our Dynamics NAV ERP software under Windows 7 and Windows Server 2008 R2's Remote Desktop Services, I discovered one serious issue. After a lot of searching, I discovered here that the printer selection button was deemed obsolete from Windows Vista onwards. There are various workarounds and code samples posted at various places to deal with the problem. However, since I wans't writing my own application but was running Microsoft's own ERP software, the missing button turned out to be critically important, and I was forced to go back to Windows Server 2003 R2. 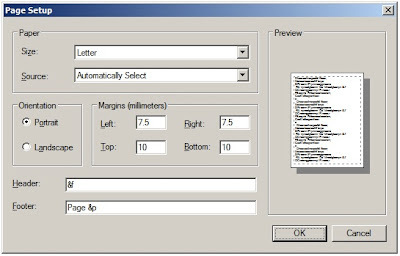 The Page Setup dialog from Windows XP. Page Setup dialog from Windows Server 2008 R2. Note the missing "Printer..." button in the lower right corner. The margins and stuff are different since they're captured from different computers. I was so incredibly disappointed in Amazon not shipping the Kindle to Thailand when the Kindle 2 International was announced. Recently though, I found about a local importer of Kindles appropriately named KindleThai.com. At first, I thought that the price they charge is slightly too high, but they do have a 30-day warranty, so I felt the price was worth it, considering that if I bought a unit through friends in the States or another country, warranty claims could be a huge issue if I ran into a DOA unit. Plus, they pre-register the Kindles they sell to a U.S. account and pre-configure the Kindles to buy books correctly, which is a great help for non-technical people. 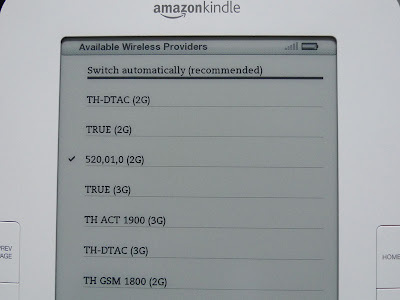 Surprisingly, the Amazon Whispernet works in Thailand, even if they don't sell Kindles directly to Thailand. While playing with the available wireless providers setting, I discovered that the Kindle's time zone setting appears to be retrieved from the provider. At first, the Kindle always displayed the time in universal time (GMT), but after switching providers, suddenly the Kindle was displaying the correct local time. Even more surprisingly, I could "purchase" free Kindle books from my computer, and then load them directly on the Kindle by using the Archived Items folder, for free, eventhough it says that a $1.99 surcharge will be placed for international delivery. Maybe the surcharge only happens when a direct purchase is made from the Kindle. The Kindle I got already came preloaded with the new 2.3 firmware with native PDF support. 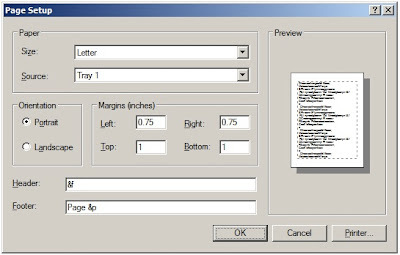 However, since PDF is normally formatted with the printed page in mind, so there's always a lot of margins. Hopefully, Amazon will fix this in a future update by implementing zoom or some kind of fit to display option. 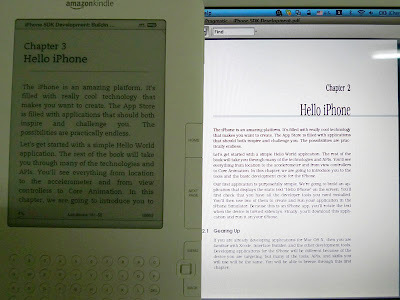 This is Kindle 2 displaying native PDF, compared to Adobe Reader 9 running on my MacBook. The text is way too small to be read, unless you're an ant. Again, in landscape orientation. This is legible, but it can't scroll the page up and down, only "flip" up and down, so it's very uncomfortable for technical manuals that you need to go back and forth on, but it's okay for reading novels. 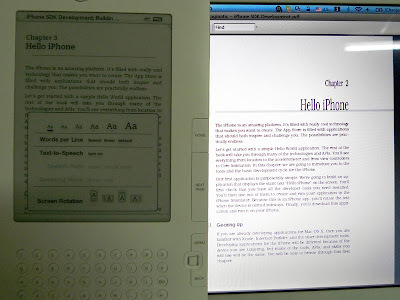 And here's the ebook-specific Mobipocket format. Stupidly enough, the Forward is marked as Chapter 1 in the mobi file, so the chapter numbers are off by 1. The Mobipocket version is perfectly readable even in the smallest font size. Sorry for the poor photos. 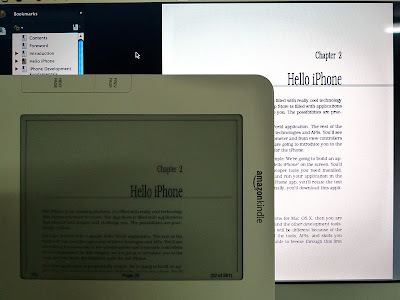 The huge difference in brightness between the MacBook's screen and the Kindle's E Ink screen made it really difficult to get a consistent exposure, and I was too lazy to get my tripod out. 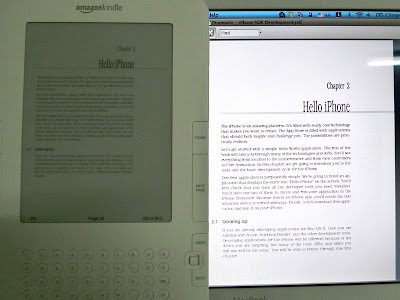 The E Ink screen looks really dim in these photos, but this is not a review of the Kindle's screen quality. Unfortunately, this Kindle is going to be given away as a gift so I only got a few days to play with it. Now taking donations to get my own unit. Update: Kindle is now officially available in Thailand. 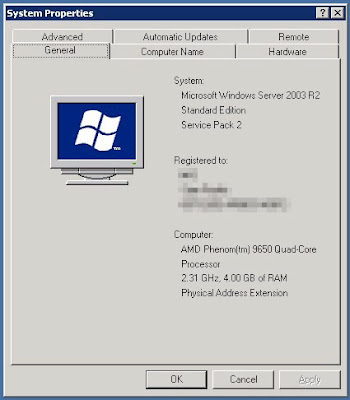 Due to various incompatibilities with our ERP software soon going live, I decided to revert back to using Windows Server 2003 R2's Terminal Services instead of using the far superior Windows Server 2008 R2's Remote Desktop Services and the streamlined RemoteApp functionality. Since we're going back to Windows Server 2003 R2, I decided to use the 32-bit (x86) version so I can keep the printer drivers in sync with our Windows XP clients. Unfortunately, the 32-bit version only supports 4 GB of RAM, and when I installed 4 GB of RAM, I could only see 3.5 GB. There are a lot of solutions online to attemp to see 4 GB, such as using the /PAE switch in boot.ini, enabling DEP, and even editing the registry. Unfortunately, none of those things I tried worked. Then it occurred to me, since I can't see the last 512 MB. What happens if I put in more than 4 GB?